LYSF land oil water separator’s treatment process is gravity separation, coarse graining, adsorption coalescence. It is made of carton steel cylinder, pump, oil tank, electronic controller. 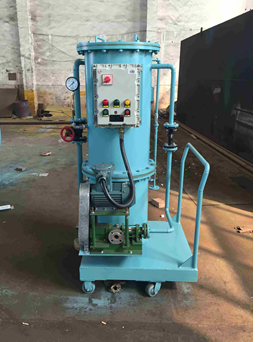 Through gravity separation, different material’s character ,it can treat manyl kinds of oil waste water which is difficult to treat, And has wide usage ,such as engine oil, machine oil, diesel oil,petrol, lubricant, animal and vegetable oils, and some heavy oil etc.